Toronto's last Motley Crue concert, August 22nd, 2015. 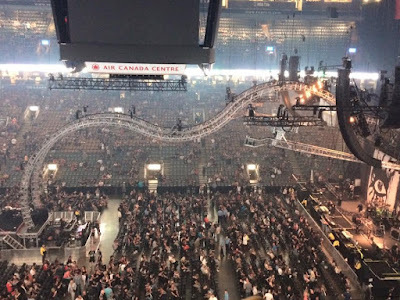 Last Saturday, Rob and I did something with friends we'll never be able to do again, we went to see a Motley Crue concert in Toronto. 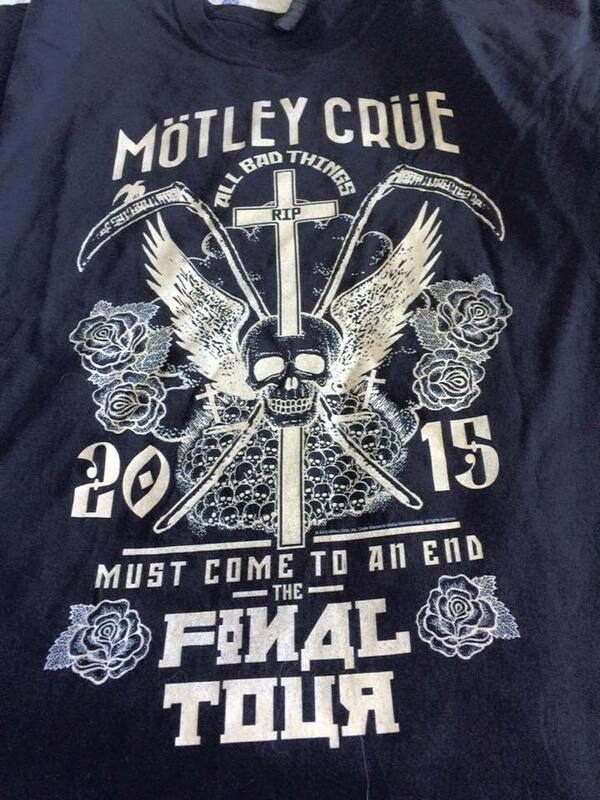 Motley Crue will never tour again when this concert tour comes to an end, at the end of this year. Sure, some of the members will go on with their side projects, but this was it for Crue in Toronto. I don't think I've ever been more aware of knowing I was seeing a band for the last time as I was Saturday night. It was bitter sweet. 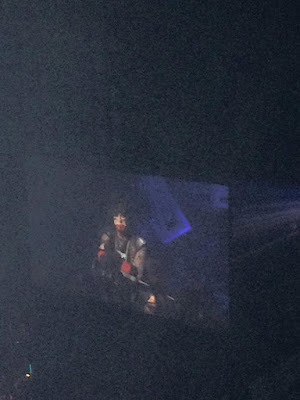 As they played songs from their 35 year career I kept seeing the videos from the 80's play in my mind with the songs. And I was also flooded with my own Motley memories. 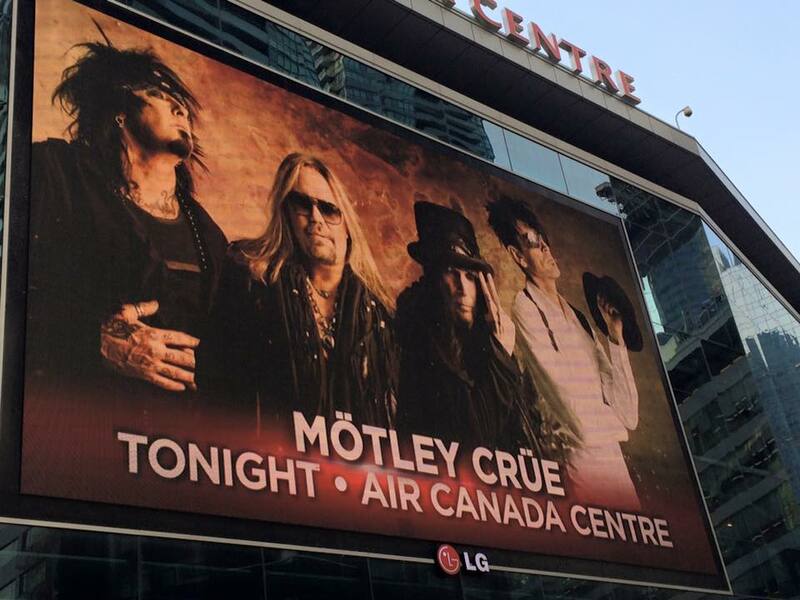 FINALLY seeing them for the first time after moving here from Nova Scotia in June of 1990 at the Skydome on their Dr Feelgood tour. I was over the moon excited to be seeing a band I had been such a fan of for years. I remembered standing in line for hours at HMV on Yonge Street 16 years ago to meet them at a signing, and floating back home with my signed poster. Being lucky enough to meet Nikki at a private Hard Rock Cafe party in Florida in 2002. The Herion Diaries book signing in 2007, and the last time I saw them, "The Dead of Winter Tour" in February 2010, and lastly, seeing Nikki interviewed live for Canadian Music Week in March of 2011. The energy inside the ACC center Saturday night was electric. You could feel the love for the band, and better yet, the love from the band for the crowd. 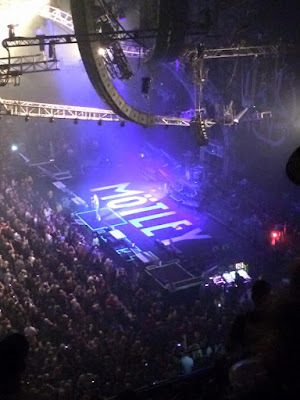 I am so grateful I was a teenager in the 80's, I'm so glad I went to this concert, and I'm so grateful for Motley Crue, and especially Nikki, who unknowingly played a huge role in my teenage years. Being a fan of this band over their career has been a memorable roller-coaster ride, and just like all great thrill rides, we were smiling when we got off. 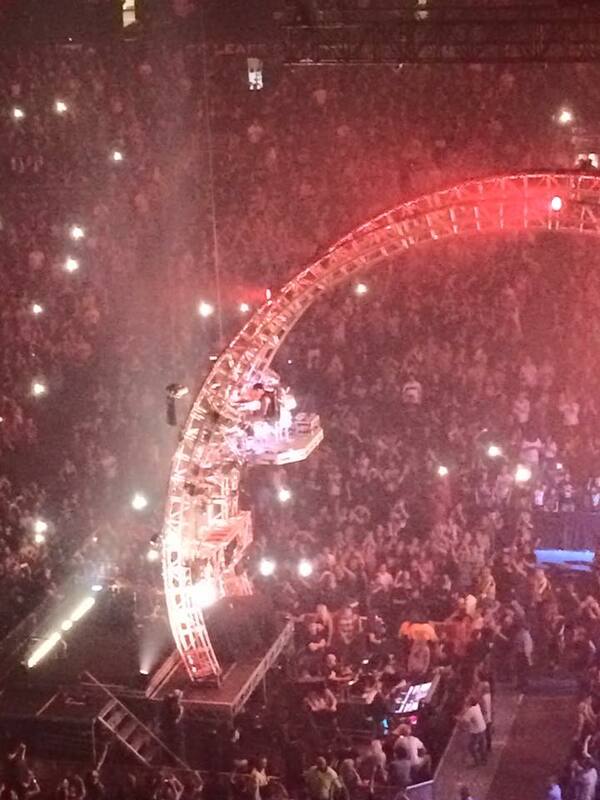 I was pretty pumped about seeing Tommy-Lee ride "The Crüecifly". 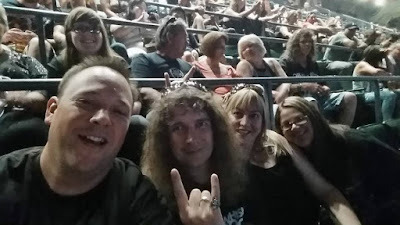 We may of been in the 300 level, but we rocked like we had floors! Nikki talking to the crowd. This was insane, and I loved every minute of it. 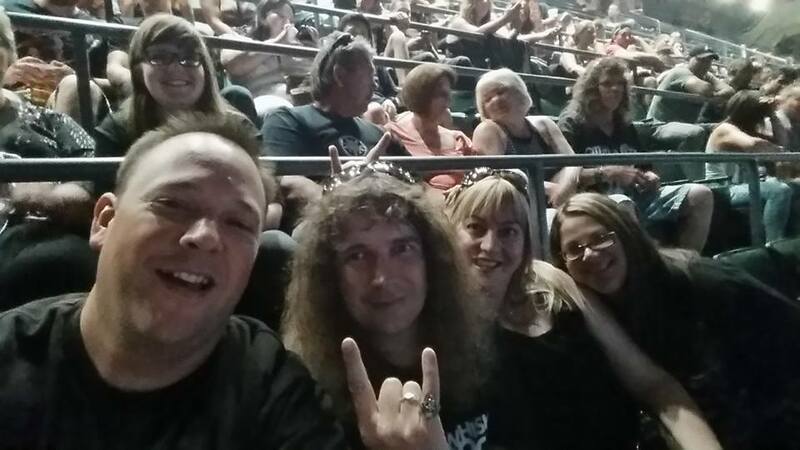 The crew at the Crue! Thanks for the selfie Brian! Thanks to my friend Jenn for letting me use the photos she took with her phone! Click here for my Nikki blog from March 2011.